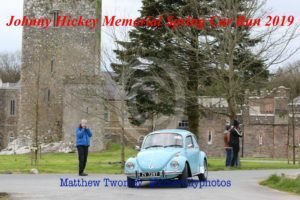 Millstreet Vintage Club would like to thank everyone who came along to the inaugural Johnny Hickey Memorial Spring Car Run on Sunday last with an astounding 71 fabulous Cars taking part in the Event,thanks to each and everyone for making the Trip to Millstreet,the Cars left Millstreet just after 12 noon and were led out by the Millstreet Pipe Band with whom Johnny Hickey was a Member of for many years,after the Cars left the Town they made there way up Tullig,on past Millstreet Country Park and on to Knocknakilla with the Event then making its way on to the Macroom/Millstreet Road where it crossed the Road and continued its way over the scenic Mullaghanish Road which brought all the Cars on to a Break at The Abbey Hotel in Ballyvourney for some refreshments,from here Cars moved on to the Clondrohid Road from where they continued on to Lisscarrigane and eventually made there way back on to the Macroom/Millstreet Road again near Carriganima and from here the Cars headed in the direction of Millstreet and then turned off left at Kilmeedy up past the Castle before heading for beautiful Ballagh and on into the Kingdom of Kerry with a Scenic Run over to Rathmore and then heading back on the Road to Millstreet from where they turned off left and passed up Johnny Hickeys Residence before heading out past the Railway Station and on over the Glebe before entering into the back of Drishane and going through its wonderful Grounds after which the Cars made there way back to the finish in Millstreet at around 4pm where everybody adjourned to the Wallis Arms Hotel for a welcome Meal. Millstreet Vintage Club would like to thank all the People that helped out which helped make the Event a massive success,to all the Marshalls,Bike Marshalls,Registration/Sign On,Route Layout etc many many thanks for all your help,also we wish to thank Millstreet Pipe Band,An Garda Siochana,Wallis Arms Hotel,Abbey Hotel,The Duggan Family and Staff and Residents of Drishane,Photographers and Media People,finally many thanks to the Hickey Family for there support and for donating the Johnny Hickey Memorial Cup to Millstreet Vintage Club and Congratulations to the First ever winner of this most beautiful Cup Patrick O’Flynn for Best Car in his Volkwagen Beetle,a most worthy winner,we look forward to seeing you all again for the 2020 Johnny Hickey Memorial Spring Car Run. 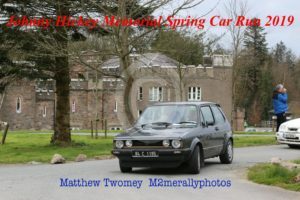 We thank Matthew Twomey, Ray Corkery and Danny Lane for the Photos. 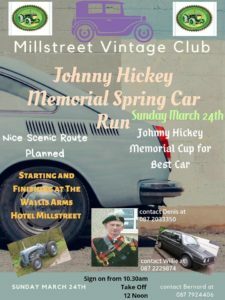 Millstreet Vintage Club Johnny Hickey Memorial Spring Car Run on Sunday March 24th next,Johnny was a Founding Member and former Chairman of Millstreet Vintage Club and a highly Respected Person both in the Club and beyond so its a pleasure for Millstreet Vintage Club to be holding the Inaugural Johnny Hickey Run,a Nice Scenic Route has been laid on with Sign on at the Wallis Arms Hotel from 10.30 am and take off at 12 Noon,Johnny Hickey Memorial Cup up for grabs for Best Car on the day,we will be returning back to Millstreet for the conclusion of the Run with Dinner at the Wallis Arms Hotel,for more details Call Bernard on 087 7924406,Willie on 087 2229874 or Denis on 087 2033350. 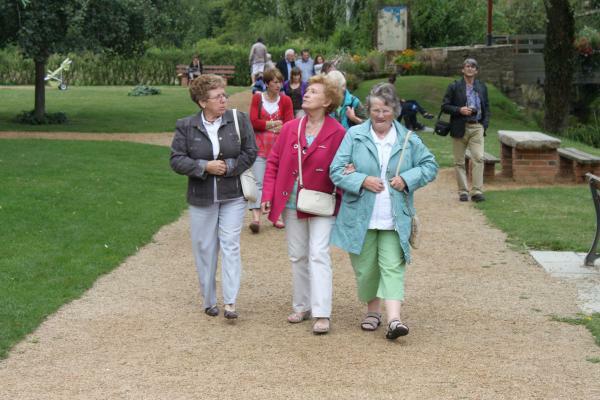 Thank you to everyone who contributed to our Church Gate Collection this weekend. 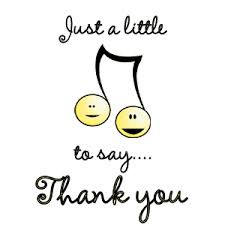 It’s very much appreciated. 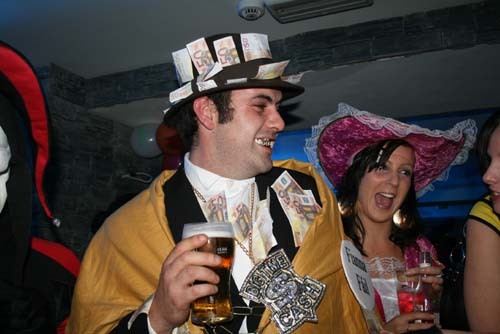 All money raised goes towards the ongoing running costs of the band. 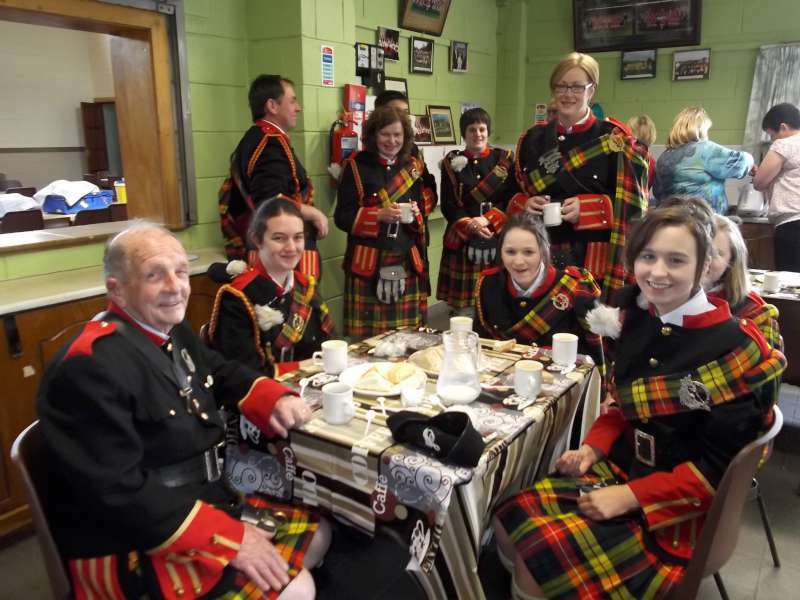 As a community pipe band we need new members to remain an integral part of the community into the future so we are looking for new members at the moment. Call into band practice at our band room in the Carnegie Hall at 8.30p.m on Friday nights to join up. Adults & young people age 10 upwards are all welcome. FREE tuition for new members, FREE instruments & uniform for as long as you remain with us, FREE transport provided to major engagements. An initial equipment cost of €20 for new members is all that’s required plus an enthusiasm for learning some tunes & having some fun! Dziękujęmy wszystkim, którzy w ten weekend wspomogli naszą zbiórkę przy bramie kościoła. Bardzo to doceniamy. Wszystkie zebrane pieniądze zostaną przeznaczone na utrzymanie orkiestry. Jako orkiestra złożona z ochotników z naszej społeczności, potrzebujemy nowych członków, aby pozostać integralną częścią społeczności w przyszłości, dlatego obecnie szukamy nowych członków. Przyjdź do nas podczas ćwiczeń zespołu w naszej sali w Carnegie Hall o godz. 8.30 w piątkowe wieczory, aby dołączyć do grupy. Dorośli i młodzież w wieku od 10 lat są mile widziani. OPŁACONE czesne dla nowych członków, instrumenty i ubiory ZA DARMO, tak długo jak pozostajesz z nami, BEZPŁATNY transport na najważniejsze występy. Pierwsza i jedyna, wymagana, opłata za wyposażenie to 20 € dla nowych członków. Liczymy również na entuzjazm do nauki utworów oraz na dobrą zabawę. Millstreet Pipe Band are having a Registration Night on Friday 15th September at 8.45p.m in the bandroom in the Carnegie Hall for young people age 10 upwards & adults who are interested in joining the Pipe Band. • Class times 8.30pm-9.00pm for new members and 9.00pm-10.00pm for senior members (Tuition times can be flexible if necessary). 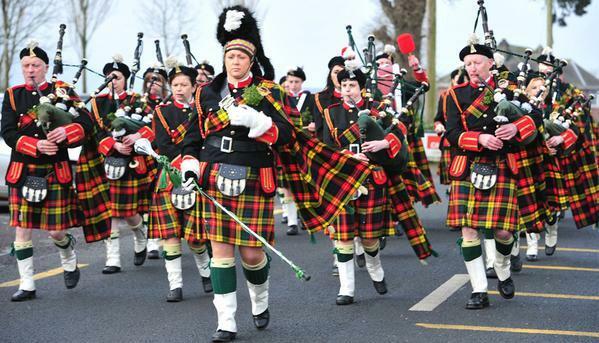 • Band Uniform and Instruments are provided free of charge for as long as members remain with the pipe band. 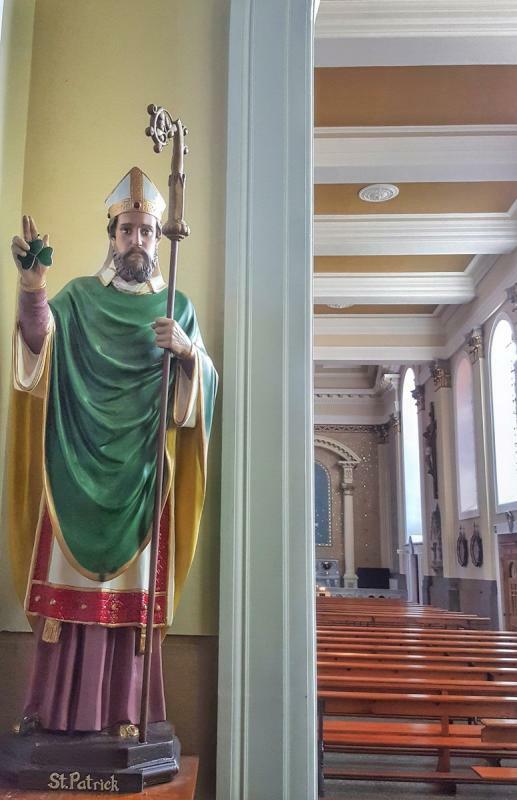 Our Church Gate collection is also on Saturday 16th & Sunday 17th September & all support is greatly appreciated. 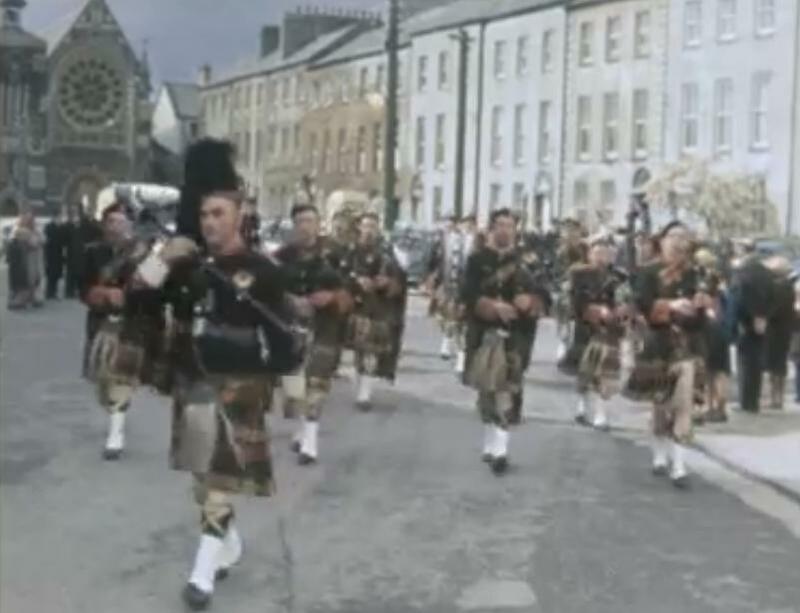 This weekend, the Millstreet Pipe Band played the Centenary Commemoration of the Easter 1916 Rising, but in Easter 1966, the Millstreet Pipe Band held pride of place at the 50th anniversary of the 1916 Rising in Tralee. 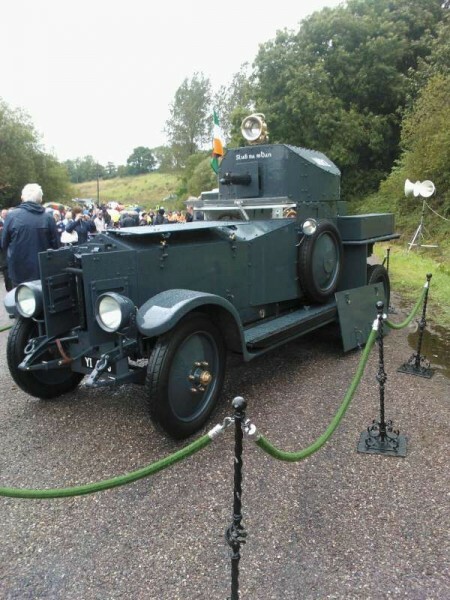 There’s a video of it in the RTÉ archives. 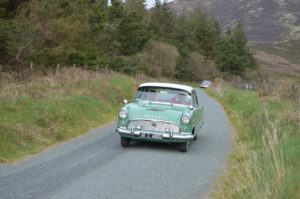 Click here to watch the 1966 video. In it, the band are seen marching and playing at 1:22, 2:45, and 3:14, but unfortunately there is no sound. Congratulations to Millstreet Pipe Band who were awarded the prize of Best Marching Band at the Killarney St.Patrick’s Day Parade. 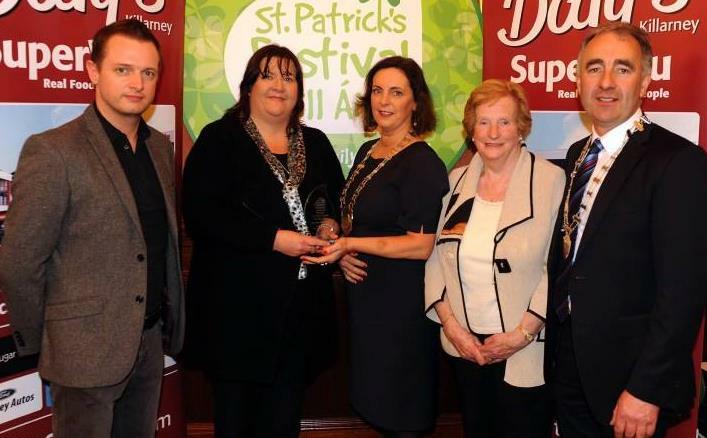 Pictured are Michelle Keogh and Maureen Kenny Coffey, Millstreet Pipe Band, with Derek Daly, Dalys Supervalu, Killarney Chamber of Tourism and Commerce President Kate O’Leary and Mayor of Killarney John Joe Culloty at the St. Patrick’s Festival Killarney parade prizegiving function in The International Hotel on Tuesday night. 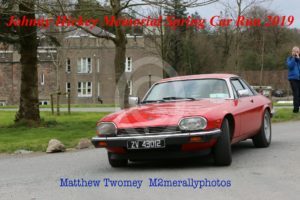 Picture: Eamonn Keogh (macmonagle.com) — at The International Hotel, Killarney. 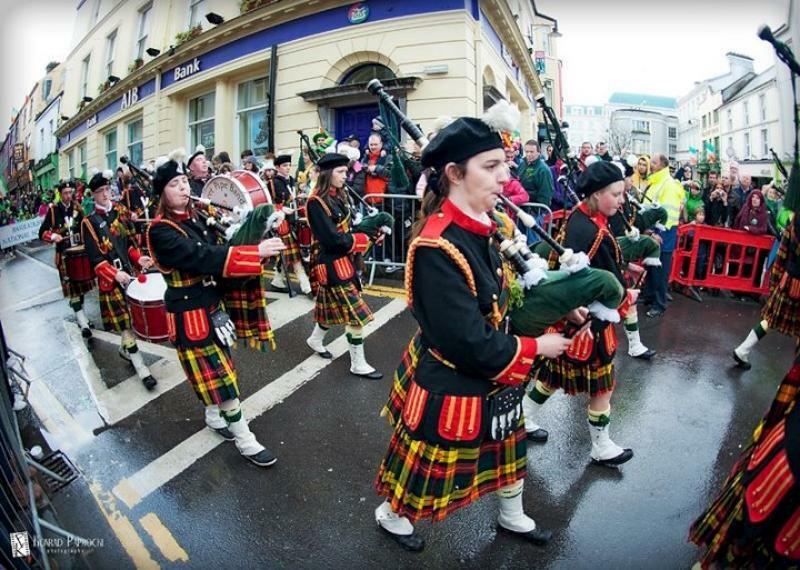 St.Patrick’s Day is always very busy for Millstreet Pipe Band. 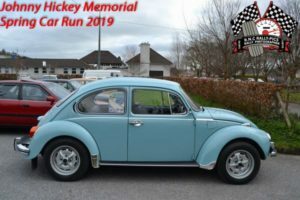 On Tuesday they started early at Ballydaly mass, followed by Millstreet mass at 11:30, followed by the Killarney Parade at 2pm, and finally back to the Millstreet Parade at 5pm. 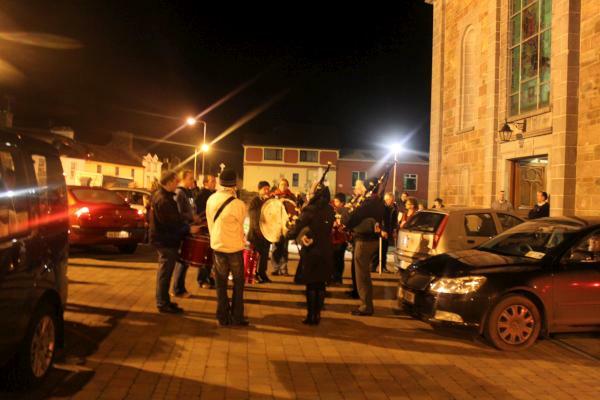 Now our Pipe Band always play during St.Patrick’s Day mass in St.Patrick’s Church Millstreet, so when it was mentioned the week before that they would be played again this year, I was happy because it’s always nice, but didn’t take extra special notice of it. Millstreet Pipe Band’s newest member: Lydia Murphy will be making her St. Patrick’s Day debut on Tuesday. 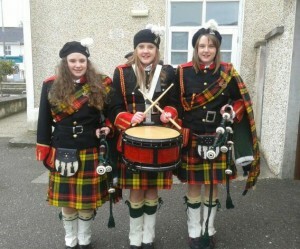 Lydia is pictured here with her sisters Kristen & Kaytlin who are also performing with the Pipe Band. 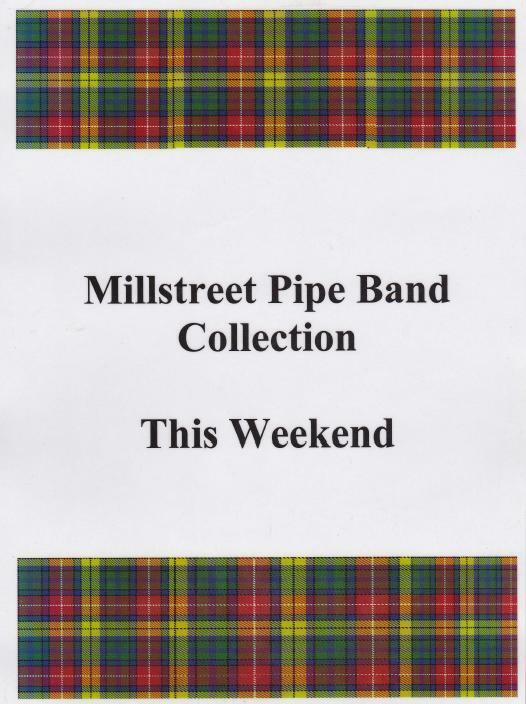 Interested in Joining Millstreet Pipe Band ? 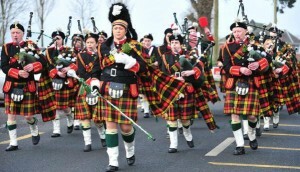 Millstreet Pipe Band will commence classeses on Friday 23rd January for new & returning members. 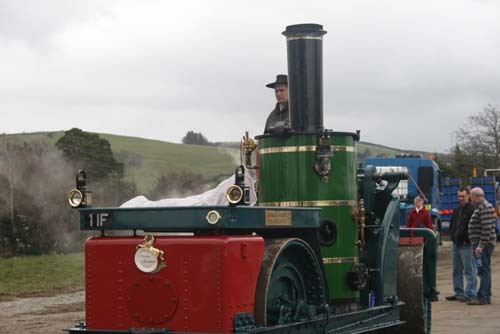 And also that if anyone is interested in joining / returning later in the year they would be more than welcome. 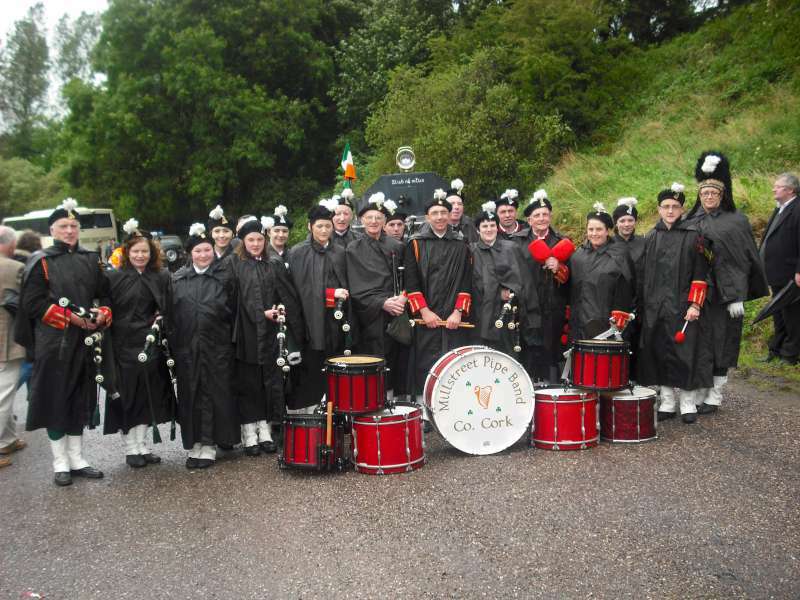 The band mobile number is (086) 8966163. 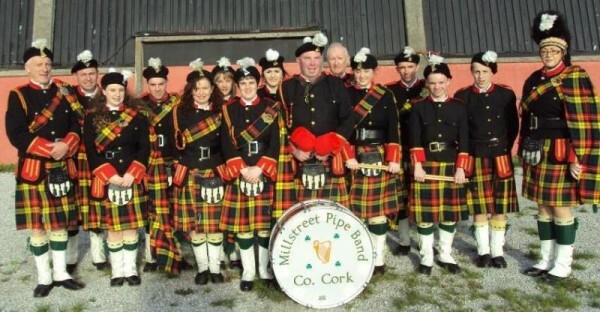 Millstreet Pipe Band played at the Cork Senior Football Championship Final in Páirc Uí Chaoimh between Ballincollig and Carbery Rangers today in front of a crowd of over 10,000. The last County Final before the stadium is redeveloped. 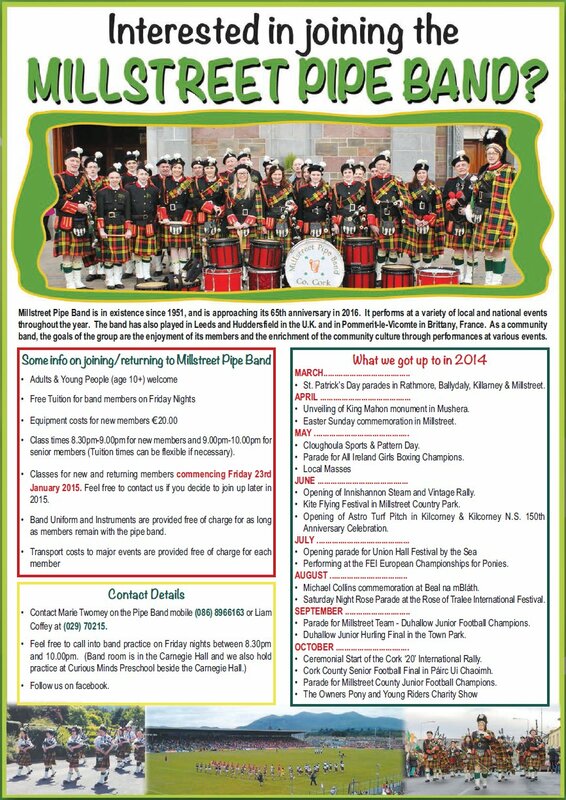 Millstreet Pipe Band is currently enrolling new Pipers. Both adults and young people are welcome. 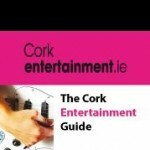 Those interested are asked to contact (086)8966163 or any band member. 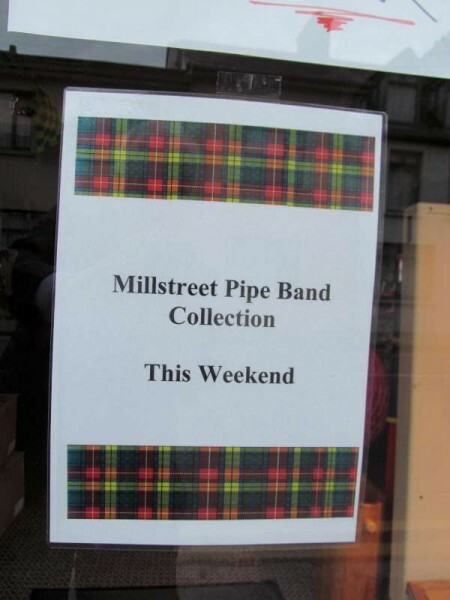 Millstreet Pipe Band will be holding its Annual Church Gate Collection this coming weekend, 20th/21st September 2014. To receive reception one needs to retune analogue settings (available in menu “settings”). 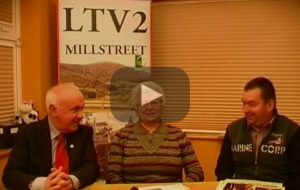 When scanning is complete one will now have the new channel – either UHF Channel 30 or UHF Channel 35 (or both in certain areas of Millstreet). All this depends on how strong the signal is in any given area. 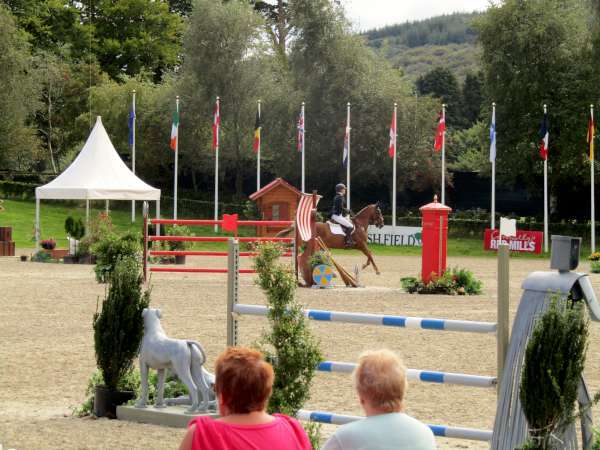 The UHF Channel 30 signal comes from the Carriganima direction whereas the UHF Channel 35 signal comes from the western side of Millstreet Town. This is now saved and is presently transmitting the EWTN (Religious) Channel. 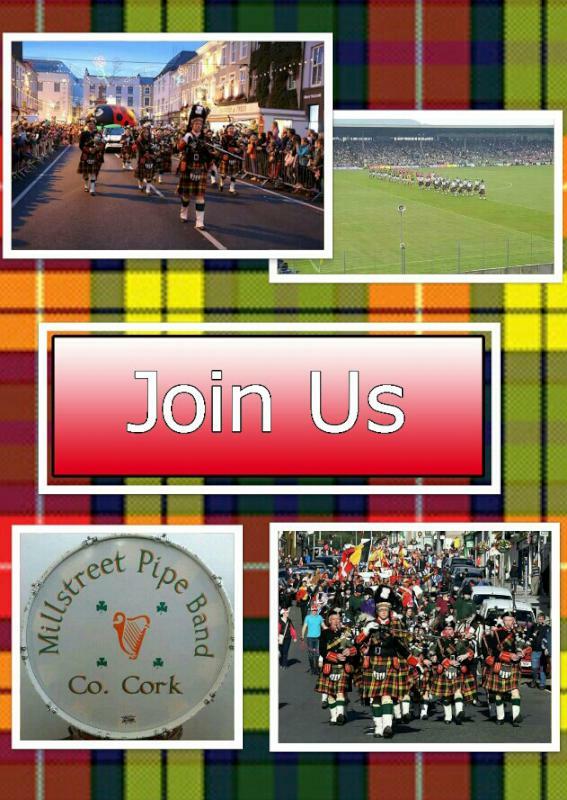 Millstreet Pipe Band is currently enrolling new members. 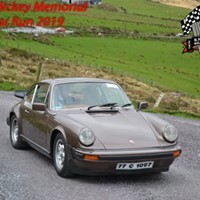 Those interested in joining are asked to contact 086 8966163. Millstreet Pipe Band would like to sincerely thank all those who contributed to their recent Church gate collection in Millstreet & Ballydaly. 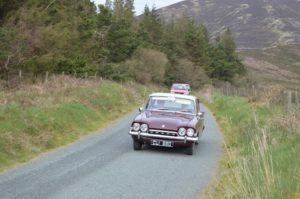 The proceeds of the collection go towards the running costs of the Pipe Band and the continued support is very much appreciated. The Millstreet Pipe Band leading out the teams before the Cork Senior Football Final in Pairc Ui Chaoimh today. Unfortunately Duhallow lost the game by 1-7 to 0-9 to Castlehaven, a late goal sealing their fate. 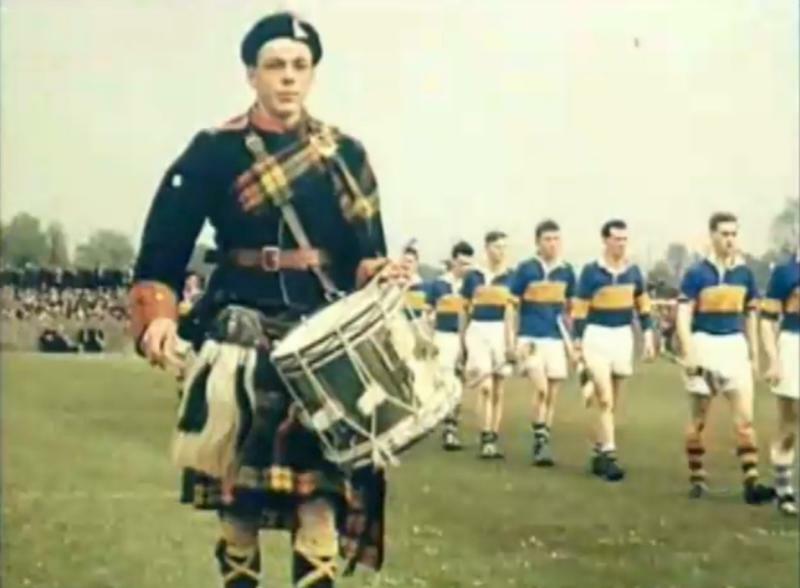 Millstreet Pipe Band played at the 1960 National Hurling League Final between Cork and Tipperary (yes fifty two years ago). A video of the match is now on youTube and includes some footage of our Pipe Band.The drummer pictured above (at 0:34 in the video) is Donal Lynch of Kippagh, husband of Julia, and whose son, Kevin is the well known button accordion player. The Match took place in Cork Athletic Grounds (now Páirc Uí Chaoimh). 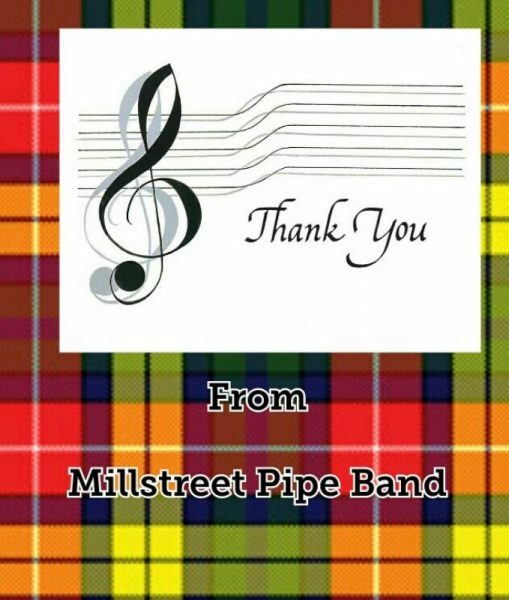 For this information – our sincere thanks to Tim O’Shea, Founder Member of Millstreet Pipe Band and still playing in mighty style! 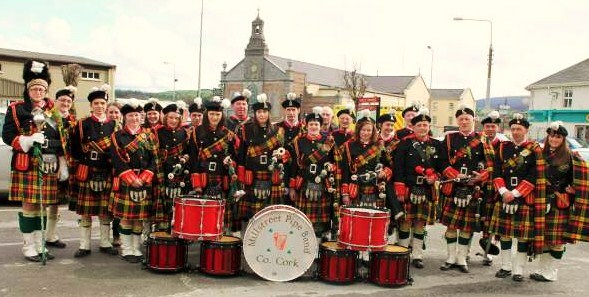 Millstreet Pipe Band will be enrolling new members on Friday, 21st September at 8pm in the Creche near Millstreet Town Park. Millstreet Pipe Band will be holding its Annual Church Gate Collection on 22nd/23rd September 2012. 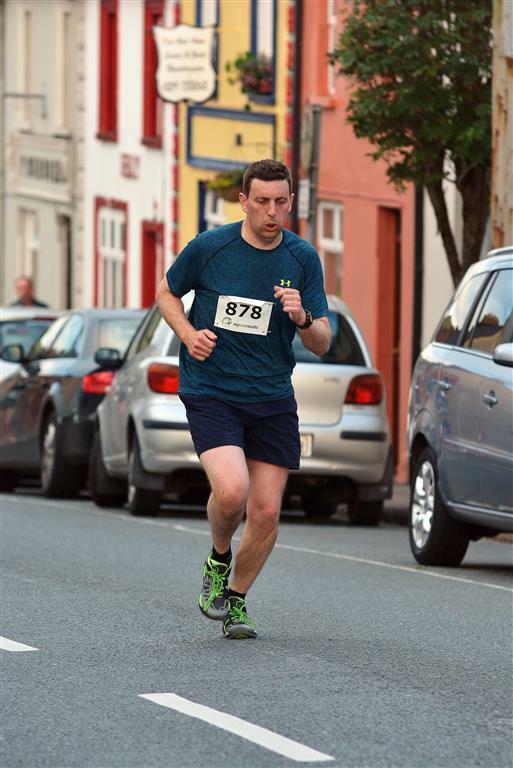 The Corkman Newspaper is out every Thursday in all the local newsagents, and contains much more than just the online version.